This morning Southside residents of Atlanta and Housing Justice League members and supporters delivered a new report to City Hall showing gentrification and displacement from BeltLine development in Atlanta's historically Black Southside. 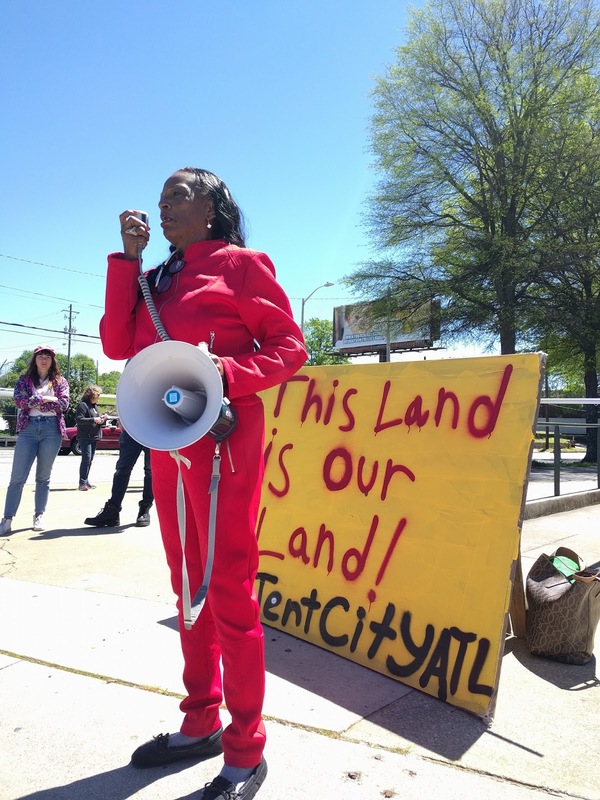 The report, by the Atlanta advocacy group Housing Justice League and Research|Action Cooperative, shows Southside residents are already being displaced by the Atlanta BeltLine greenway development even in neighborhoods that it has not yet touched. 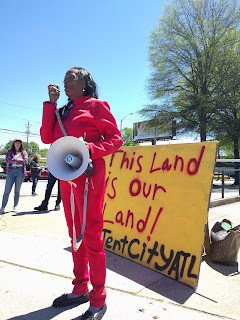 The Atlanta BeltLine, which will ultimately be a 22-mile loop of green parks, trails, and streetcars circling inside city neighborhoods along discontinued rail beds, is a force for gentrification and displacement of long-time, low-income residents, many of them Black. CAN WE COUNT ON YOU TO COME TO THE COMMUNITY LAUNCH FOR THE BELTLINE FOR ALL CAMPAIGN? 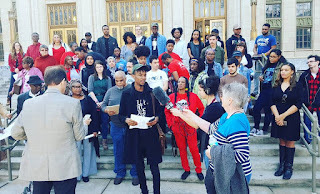 Proceeding the actual delivery of the report to City Council and the Mayor, participants of the research project gathered with their supporters, City candidates and elected officials, the press, and others on the steps in front of City Hall to hear from Southside Residents. All of the speakers emphasized the importance of community involvement and accountability in city planning in order to meet the critical needs of long-time residents and avoid historical and continuing patterns of racism, displacement, and disinvestment. Research by the Atlanta community group Housing Justice League and Research|Action Cooperative, largely in the three historically Black neighborhoods of Adair Park, Peoplestown, and Pittsburgh, tracks the hopes of residents for the BeltLine, how they are actually affected by it, and the forces of gentrification that, if left unimpeded, will damage the economic and racial diversity that long-term residents and newcomers alike say is a strength of the area. · Atlanta failed to enact protections against displacement that have been effective in other parts of the country. It still has time to do so as the BeltLine turns its development eye to more of the historically Black Southside. The report’s major recommendation is for Atlanta BeltLine Incorporated, the public-private partnership leading the development, and the City as a whole, is to embrace more democratic planning processes so that the interests of current residents are incorporated into development, and the supportive networks among neighbors are protected and appreciated. 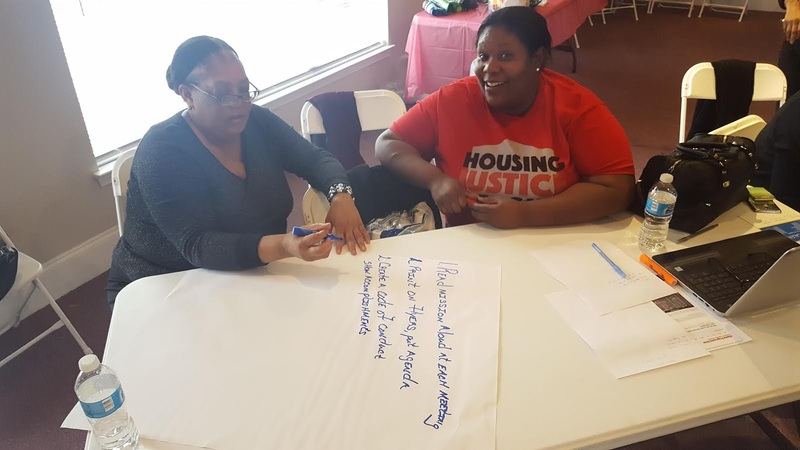 Housing Justice League is itself helping to model what this kind of planning could look like for the city at large. 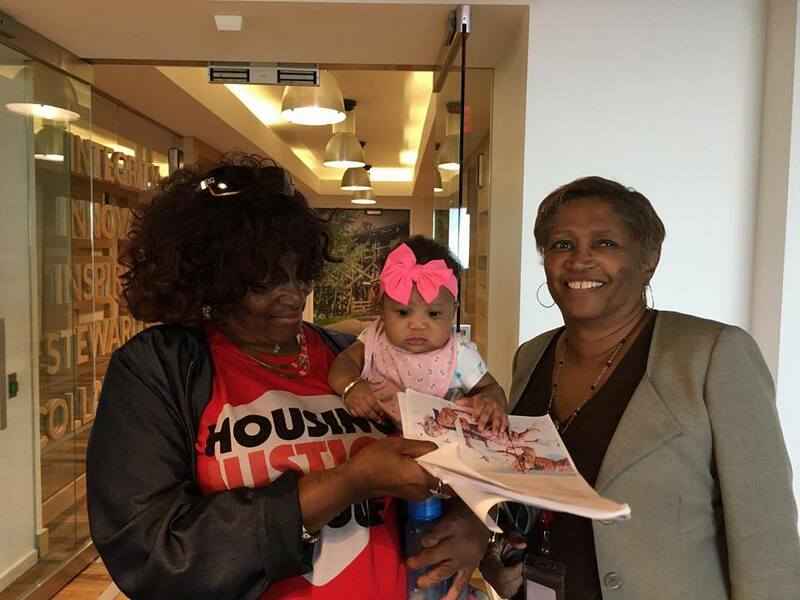 The community-directed research report is part of Housing Justice League’s broader BeltLine For All campaign, seeking to create spaces that center resident voices and promote community engagement in the development process. 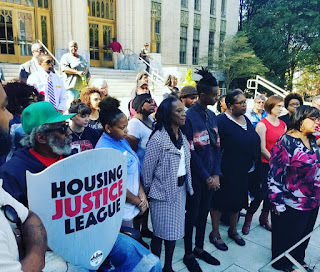 The Monday following the press release Housing Justice League will officially launch the broader campaign with a community-centered event where people will be able to learn more about the research, connect, and sign up to volunteer and lift up their perspectives through the campaign. 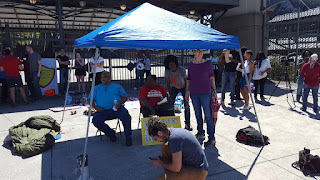 BeltLine for All will seek to curb Atlanta BeltLine Incorporated’s irresponsible record on affordable housing through democratic participation, people pressure, and public policy. Atlanta BeltLine Incorporated was launched in 2005, when the Atlanta City Council, Atlanta Public Schools, and Fulton County all empowered a new Atlanta BeltLine Tax Allocation District to fund both parks and more than 28,000 units of housing – only 5,600 units of it affordable – in neighboring areas. The hope of the BeltLine lies in its initial promises: to spur equitable development and to include a robust affordable housing strategy to prevent displacement. But as Atlanta BeltLine Incorporated itself acknowledges, almost midway through the 25-year-long development period, fewer than 1,000 units of affordable housing have been built in the area, far short of the original goal, even as housing prices near the greenways are rising faster than in the city as a whole. This means the area is losing far more existing affordable housing than it is creating. And there are no rent regulations or alternative property tax policies to stop the surge. CAN WE COUNT ON YOU TO COME TO THE BELTLINE FOR ALL CAMPAIGN LAUNCH? To learn more about the policy BeltLine for All will push for to turn around the unjust development practices displacing residents, you can read the full report on housingjusticeleague.org. 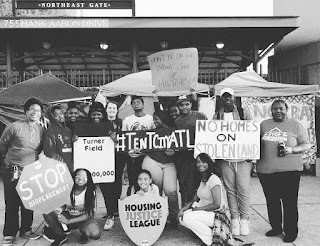 News coverage of the Turner Field Neighborhoods community struggle has focused on the macro purchasers- Georgia State University and Carter Development International. But it has not given attention to the people of the Turner Field Neighborhoods. It is the peoples’ voices that have built the community, however, and the peoples’ voices that have sustained housing movements past and present. They must be continuously raised up. In an effort to bring the peoples’ voices forward, this essay will share the story of one particular Peoplestown hero: Clemmie C. Jenkins. Her experiences growing up were tied to the people around her. 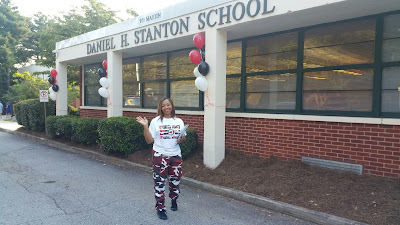 Their caring presences grew her into a community activist. Ollie Crutchfield Powell, Clemmie’s mother, was a particularly large influence on Clemmie’s life. Ollie’s activism and awareness of her surroundings was quickly picked up by Clemmie. As a young person, Clemmie was observant of the neighborhood around her. Walking to and from school, she would see the same sights and hear the same sounds. Though most of the homes and businesses disappeared from Peoplestown’s main thoroughfare by the late-1960s, Clemmie remembers them vividly. “I can imagine in my mind when this neighborhood was a vibrant neighborhood. Right here where we’re sitting, there used to be a huge grocery store. A huge store. And then urban renewal came and tore it all down,” Clemmie says. Sitting at the intersection of Hank Aaron Drive and Ralph David Abernathy, it is hard to imagine the area filled with anything other than decrepit stadiums and empty parking lots. But before Ralph David Abernathy Boulevard became what it is today, it was Georgia Avenue- the site of bustling parlors and restaurants and home to many of South Atlantans working-class black families. Listening to the current traffic at Turner Field, one can imagine people speaking loudly and yelling to each other as they walked in 1950s South Atlanta to buy ice cream or go eat. One can imagine a hot dusty street that was brought alive by food and people. 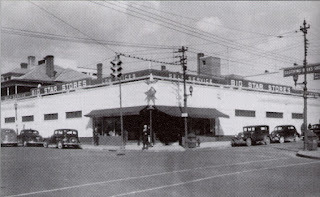 The parcels of land in front of the old Georgia Avenue-turned Hank Aaron Drive are different from before. A large stadium and parking lot have replaced rows of homes and businesses. Billboards have replaced side-street watermelon stands. Renters, homeowners, and small businesses do not own the land any more. Large universities, corporate developers, and wealthy stock-holders do. Corporate-friendly purchase deals have ushered in the macro forces of urban renewal and gentrification. But perhaps the largest change has been in the relationships between neighbors. The new corporate neighbors of today are not as committed to the safety and welfare of the neighborhood or its residents as the real people neighbors of yesterday. 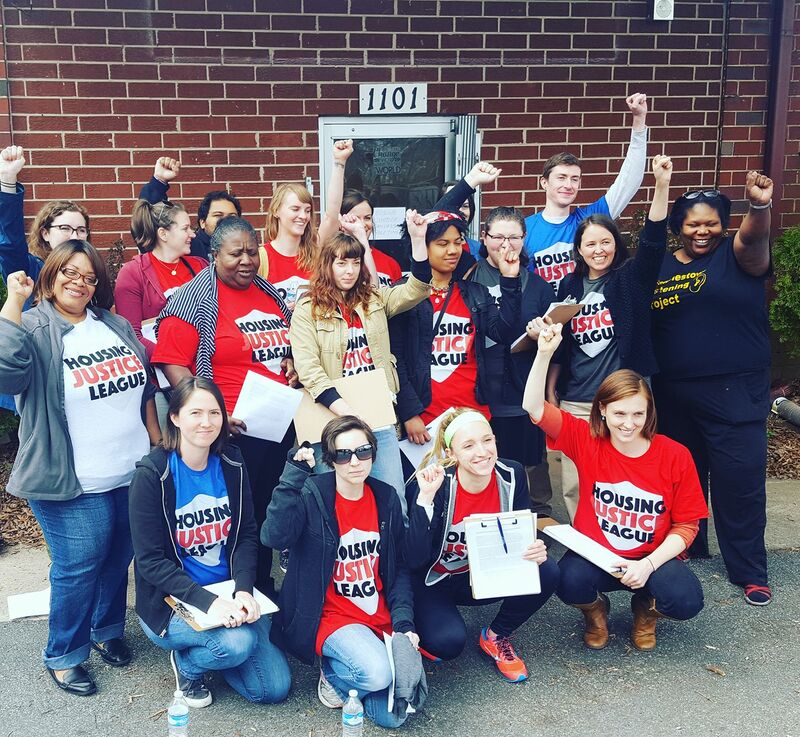 When Georgia State University first purchased the Turner Field property, it ignored communication from the Turner Field Community Benefits Coalition to sit at the table and sign a legally-binding Community Benefits Agreement. 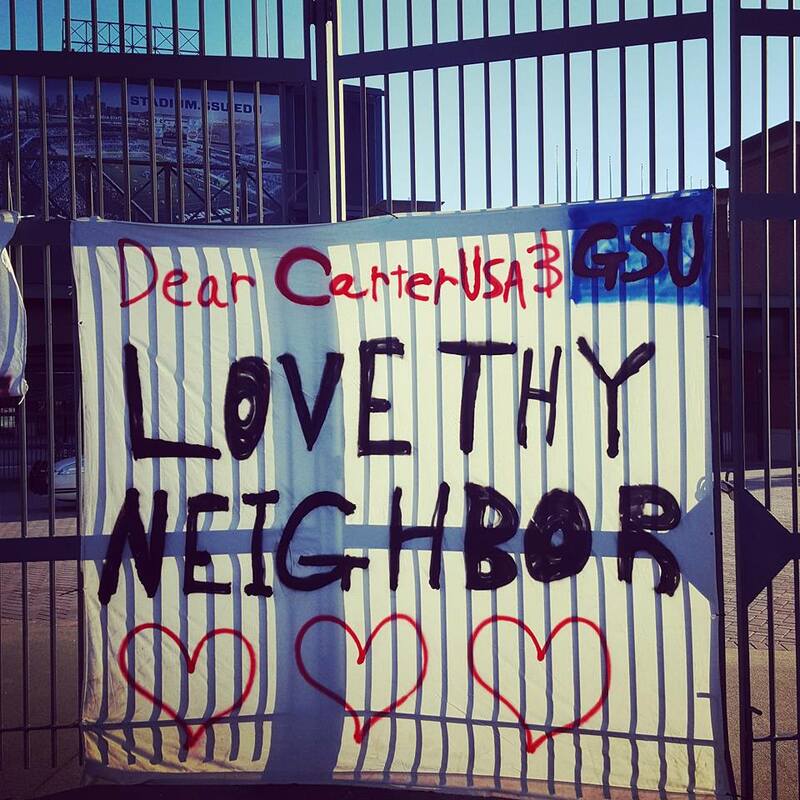 That initial breach of miscommunication has been a sore point for many in the neighborhood, and the source of organized protests calling on GSU and Carter Development International to give residents consideration and serious talking time. As of May 11th, however, discussions have moved forward as a team from the Coalition is in negotiations with Georgia State University. Clemmie has spent the better part of six decades in Peoplestown, and has no plans to move. She noted jokingly, “before marrying my husband, I told him…if you cannot live in Peoplestown, we’re going to have a problem. That was a condition for us getting married.” And he took her seriously. Clemmie and Paul live together in Peoplestown on Fern Avenue. And people in the neighborhood are here for Clemmie, just as she is for them. Longtime resident Columbus Ward notes, “She has spent a long time in this neighborhood. She is a Peoplestown resident who will stand up for her neighbors and fight for others. Once Clemmie makes a commitment to do something, she will carry that commitment forward.” Her work has been recognized by community groups ranging from the 555 club to the REACH for Wellness. She received the 2016 servant leadership award from State Senator Nan Orrock. On Jenkin’s 65th birthday, she was awarded a Proclamation by the City of Atlanta. Press conference with community leaders and elected officials supporting a real, binding Community Benefits agreement to be held Wednesday April 26th at #TentCityATL, 755 Hank Aaron drive at 10:30am. 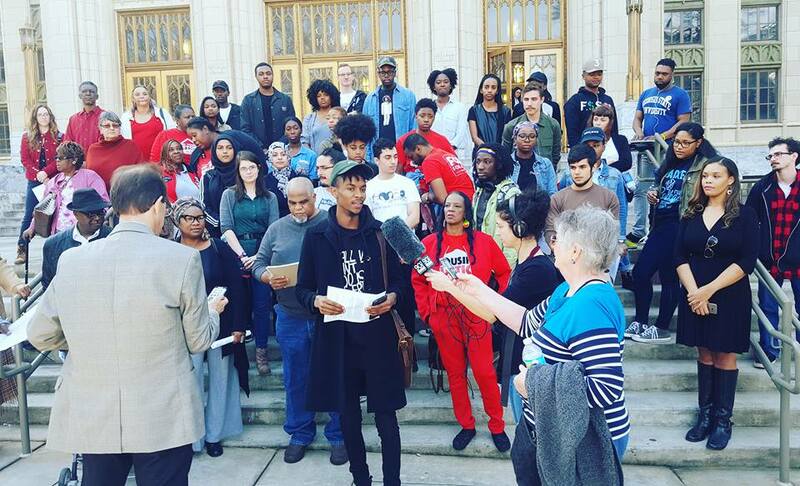 GSU and Carter, doing business as Panther Holdings LLC prematurely and in bad faith released the terms of a deal it crafted with a selected group of community members and organizations to the exclusion of the Turner Field Benefits Coalition. It highlights the heart of Atlanta’s gentrification problem. In December of 2016 the City of Atlanta and Atlanta Fulton County Recreation Authority released an RFP for the sale of Turner Field and surrounding parking lots. Panther Holdings was created and awarded a sweetheart deal - for $30 million they got $300 million worth of real estate and tax abatements, too. From the time of the sale of the Braves the Turner Field Community Benefits Coalition - a democratically elected body of residents, community organizations, small businesses and churches - have been actively engaged in developing a community driven Community Benefits Agreement to counter gentrification and prevent displacement of residents. Nearly two years ago a politically connected faction of the coalition led by Suzanne Mitchell broke away and began private negotiations with Panthers Holding. Mitchell is the sister-in-law of council president Ceasar Mitchell, who curries the favor of the developers Carter and GSU repeatedly stating she "could just pick up the phone and call them." 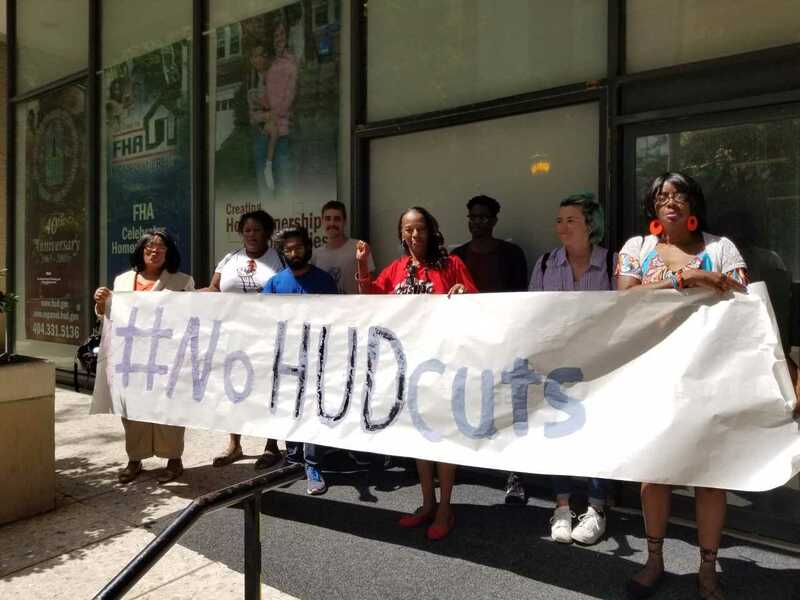 Access denied to the democratically empowered Coalition representing broad stakeholders across five impacted neighborhoods. Just an hour or so before news began to spread that a deal had been reached, Carla Smith, GSU, Oakwood and Carter presented a plan it developed with the selected group of individuals and organizations and without input from the community at-large. 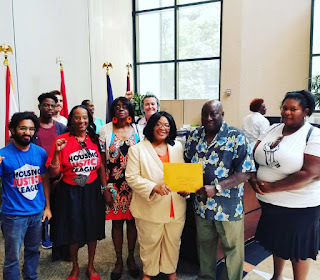 Council president Cesar Mitchell along with Council members Felicia Moore, Michael Julian Bond, and Deborah Scott with Partnership for Working Families Founding member & VP National CBA Network participated in the meeting. The Coalition and its advisor, Maya Dillard Smith, former Executive Director of the ACLU of Georgia, were allowed to see documents memorializing this "deal" for the first time. There are actually two deals - one with GSU and one with Cater. The Coalition requested time to review these documents and a follow-up meeting is scheduled for Monday, May 1, 2017. The conversation centered on the importance of transparency, accountability, inclusion and honesty, which has been missing from the negotiations to date. One might imagine The Coalitions surprise upon reading the AJC headline, “GSU-Turner Field Neighborhoods Strike Community Benefits Agreement”. Tremendous misinformation has been miscommunicated by GSU and Carter in an already confusing environment of alternative facts. 1. The Coalition was funded by the Casey Foundation, the Coalition worked with consultants and legal counsel paid for by Casey with a grant it provided of $90,000. Most of the money received went to consultants. Coalition members did not receive any money, and they participated in good faith to draft CBA defining investments, outcomes and protocols benefiting Peoplestown, Summerhill, Mechanicsville, and Pittsburgh. These neighborhoods were selected given the immediate and surrounding impact of the project in alignment with the Living Centers Initiative. 2. As soon as the deal was inked (Purchase/”Closing” took place), Casey pulled its funding. Unbeknownst to the Coalition at the time, Casey provided its $90,000 in services to the coalition, it was simultaneously funding hundreds of thousands in donations to Georgia State University. A clear conflict of interest for an organization which says it's dedicated to neighborhood change. 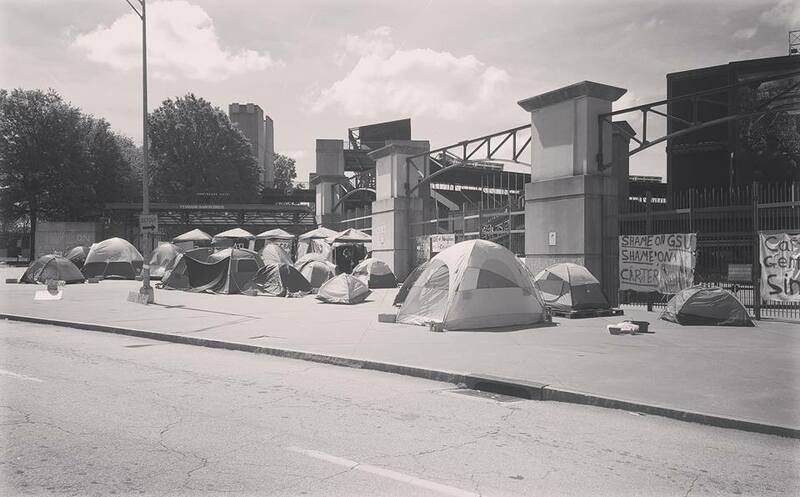 Change, the Casey foundation will benefit from as it owns 14 acres in the affected area of the Turner field project. 3. Council member Carla Smith received the maximum political contribution of $2500 from Scott Taylor of Carter the day after the deal closed for the sale of Turner Field. She also received donations from Carter development. 4. Suzanne Mitchell is negotiating with GSU and Carter in her individual capacity and as a relative of the City Council President, Caesar Mitchell. She is no longer the president of (ONS) Organized Neighbors of Summerhill. 5. Mayoral candidate Keisha Lance Bottoms served on the City Council while also serving as the chairperson of the Fulton County Recreation Authority. This represented a clear conflict of interest and the closing documents directed Bottoms to receive 5% of the sale price of Turner Field ($600,000). The deal and its participants are ripe with conflicts and yet the Coalition continues to show up and engage in good faith. We ask only that the other people at the table do the same. 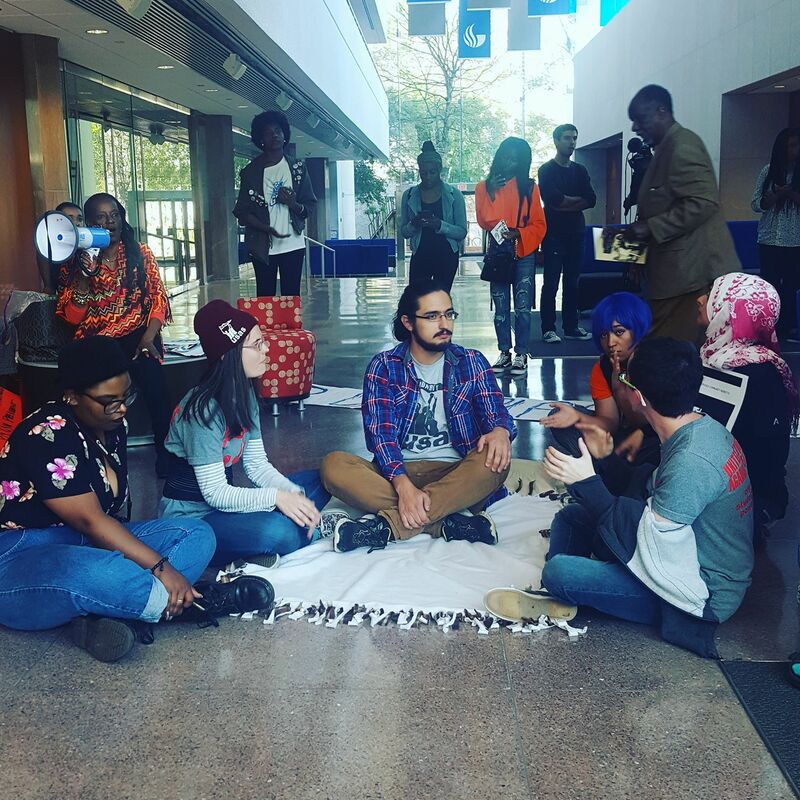 On Tuesday evening at 6:30 pm, faith leaders from different communities in Atlanta will hold a prayer session for Georgia State University and Carter Development at #TentCityATL (755 Hank Aaron drive). 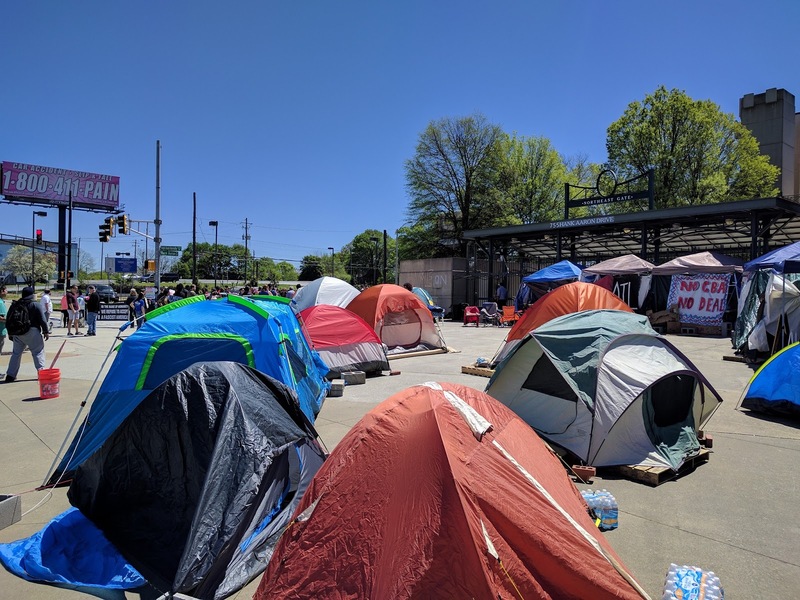 On the days following Easter, faith leaders will pray that GSU and Carter respect the NPU-V community members and include them in development of Turner Field and the surrounding parking lots. They will pray that development projects not drive-out longtime residents as they have before. 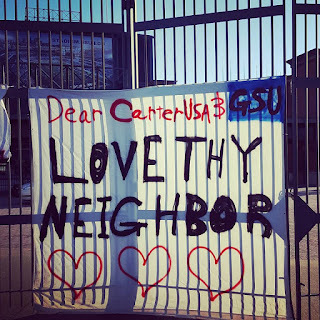 They will pray that Carter and GSU include community voices in a binding social contract that will ensure development benefits everyone in the community. 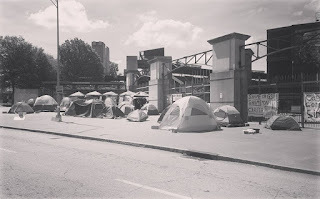 On April 1st residents of the area marched to the site formally known as Turner Field and set up a tent city. Residents have been staying there in an act of civil disobedience for 18 days through extreme weather and police intimidation. 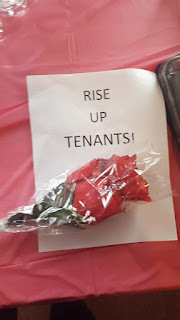 Our ask is simple; include longterm resident voices in the development of the area and so far Carter and GSU has refused to respond to numerous requests for a meeting. 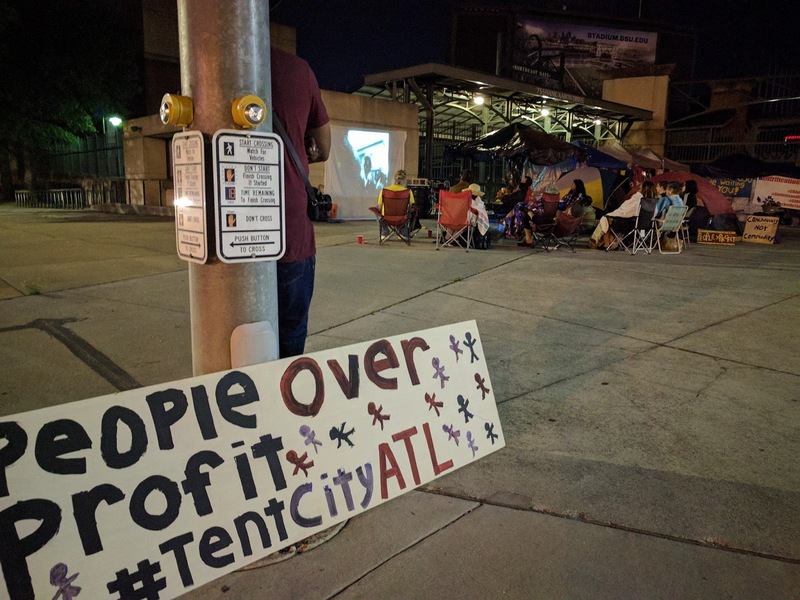 Since the #TentCityATL began thousands have signed an online petition to bring Carter and GSU to the table and the story has been covered nationally. 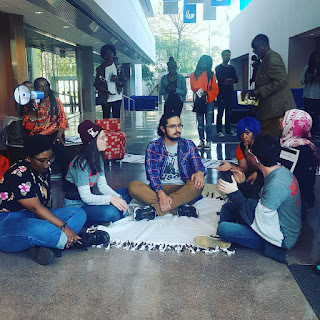 Last night a number of students and long term residents held a sit-in at GSU president Mark Becker’s office hoping to facilitate a meeting between Becker and longterm residents. Becker refused and instead had folks in the group, including former state house rep Douglas Dean , who has lived in the Pittsburgh neighborhood for over 50 years. As this blog post is being published, they have yet to be released. 3. More than anything there is a need to have folks there. 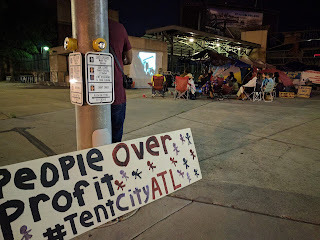 there are regular events organized at #TentCityATL like this one. 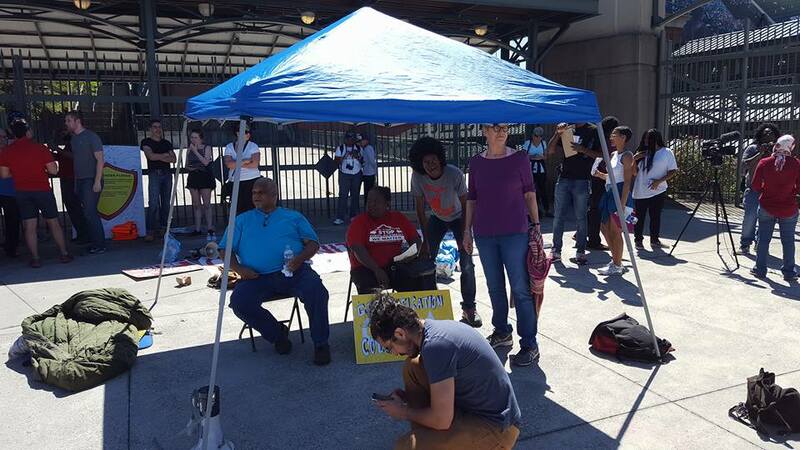 Donate an hour, donate a day, pop a tent and stand in solidarity with one of the most important fights in the city! Tent City at Turner Field! After the Braves announced that they would be leaving Turner Field residents of Summerhill, Peoplestown, Pittsburgh, and Mechanicsville began meeting to discuss what would become of the almost 80 acres. 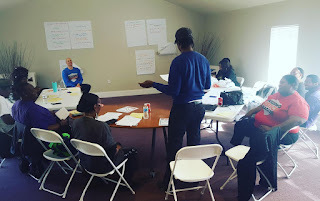 Over the course of almost three years over 1700 residents and countless experts gave input on a Community Benefits Agreement that would ensure that the voice of the community would be included in any development and that whatever ended up at Turner Field wouldn't end up displacing long term residents that are loved and needed in their community. Since Carter Development and GSU has purchased the land they have not only refused to meet with residents, they have resorted to spreading lies through the media about residents intentions, including implying that all residents want is a cash payout, such a request has never happened. Residents have drawn a line in the sand and simply will not allow GSU, Carter, or any other developer to extract wealth from a community that has suffered through so many bad developments over the years without allowing residents to have a voice and a binding agreement about how their community is developed. 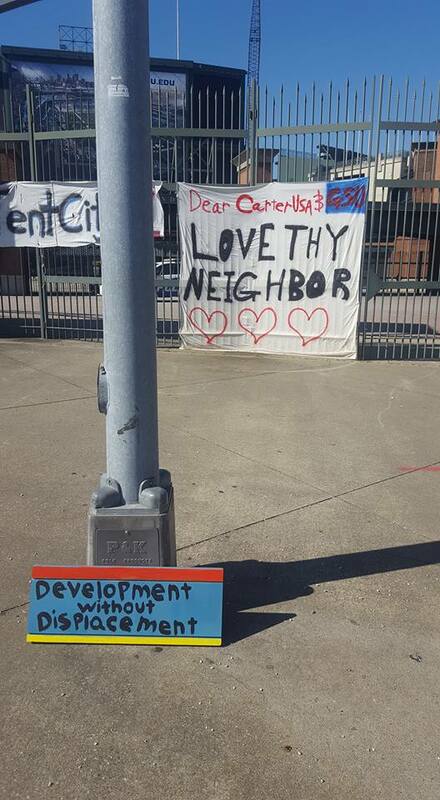 The Neighborhoods surrounding Turner Field have been plagued with mega developments that have brought countless broken promises of economic development. 50 years ago Mechanicsville, Summerhill, Peoplestown, and Pittsburgh were thriving communities. It was a place where one could buy fresh food, go to the doctor, enjoy the theatre, attend a decent school, and enjoy a walkable community. Interstate 75/85, the Fulton County Stadium, the Olympic stadium, and Turner Field have all had detrimental effects on the surrounding neighborhoods. Each of these developments ended up displacing residents by the thousands and destroying small business in the area. Today residents say no more. 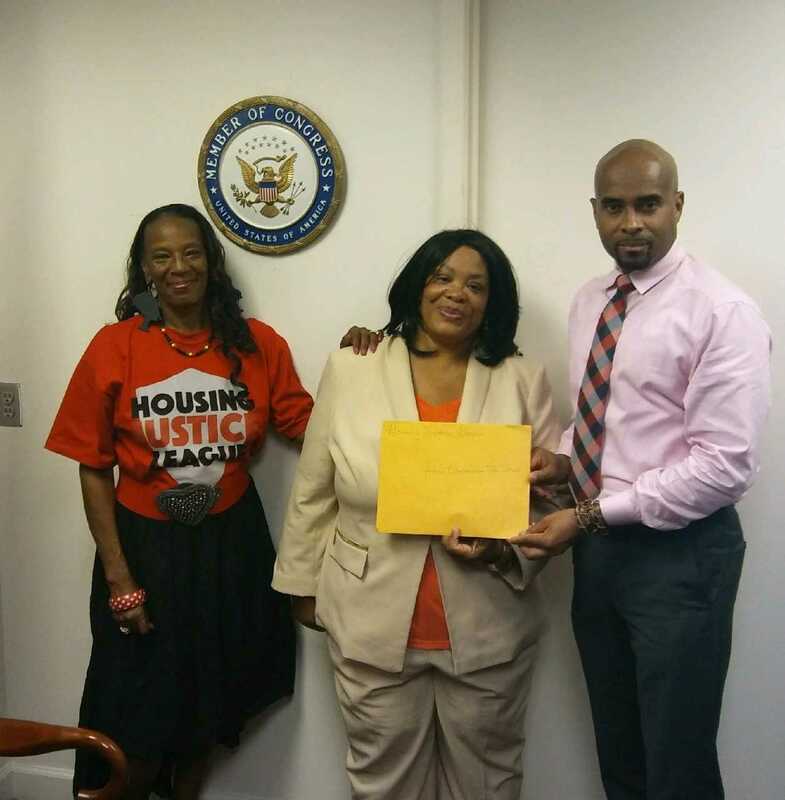 No longer can we allow mega developers to extract wealth from our community without any accountability. If you aren’t developing with us, you aren’t developing for us. 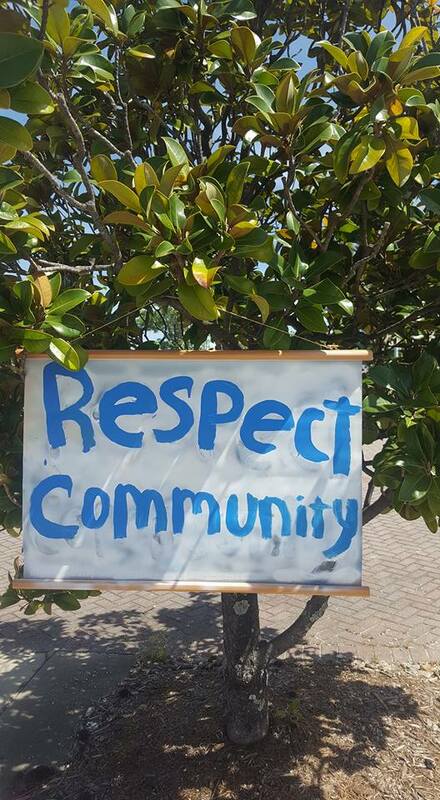 Those that live in the community should have a voice in how it’s developed! 1. Sign the olnine petition here! Who is the Beltline For? This past weekend the Housing Justice League did a day of canvassing with the support of SURJ Atlanta. It's park of an overall effort to gather data for a report that would highlight the impact of Beltline development to low to moderate income residents. We know the Beltline has already brought a net loss of affordable housing along the areas that have been complete. 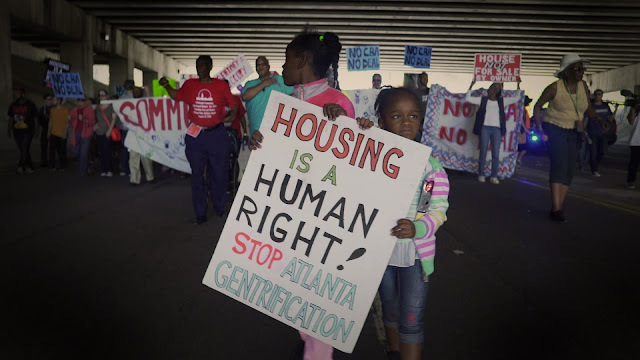 As the popular project makes it's way to Adair Park, Pittsburgh, South Atlanta, and Peoplestown we want to make sure that development doesn't displace. If the Beltline is going to be the inclusive beautiful project it was designed to be our city and those working to develop the Beltline must do a better job of making sure that everyone can enjoy it, not just affluent newer residents. The results we are already seeing are unfortunately not shocking; the Beltline is squeezing out non-rich folks as it snakes it's way around the city. Mega projects like the Beltline and Turner Field beg the question, Who are we developing Atlanta for? Our hope is that solid research can point us to policies our city can adopt to make sure development can benefit everyone and that long term residents can have the opportunity to stay in their community, to enjoy things like the Beltline instead of being squeezed out to make room for new people. If you would like to get involved in this project we could use your help! Right now we need help with data analysis, data visualization, mapping, qualitative analysis of surveys and interview data, report writing, and editing. There will be an open meeting Saturday March 18th from 11-1pm at Hodge Podge Coffee. Email Katediedrick@gmail.com to get more information on how to plug into this effort! Do you live in a Beltline neighborhood? If so we need folks to take the survey! It won't take long at all! Click HERE to take online survey. WASHINGTON, DC (January 25, 2017) Today, President Donald Trump announced sweeping executive actions that would expand the border wall, cut federal funding to sanctuary cities and increase the number of people Immigration and Customs Enforcement (ICE) will target for deportation. The American Friends Service Committee (AFSC) – a Quaker organization that has worked for immigrant and refugee rights for almost 100 years – denounced these policies as dangerous and divisive. “For more than two decades, border wall infrastructure has contributed to the deaths of thousands of migrants fleeing poverty and violence who are forced to cross through deadly terrain,” said Pedro Rios, director of AFSC’s U.S./Mexico Border Program. “This human rights disaster will only be exacerbated with more miles of border walls and excessive, unaccountable enforcement.” While Trump’s executive action paves the way for wall construction, additional congressional action will be needed to fully fund the project. AFSC is calling on Congress to do everything in their power to stop wall construction and to protect the human rights of migrants and those in border communities. Trump also signed an executive order limiting federal funding to “sanctuary cities.” More than 350 jurisdictions across the country have enacted policies prohibiting local officials from taking actions like asking people about their immigration status, holding people so ICE can detain them, or sharing information with ICE. The executive orders also dramatically expand the number of Customs and Border Patrol agents, call for aggressive immigration enforcement within the country, and for mandatory detention at the border – including of children and families. But AFSC and other organizations are not just waiting for congress to take action. They have launched a campaign, called #SanctuaryEverywhere, to help everyday people protect each other from these attacks. 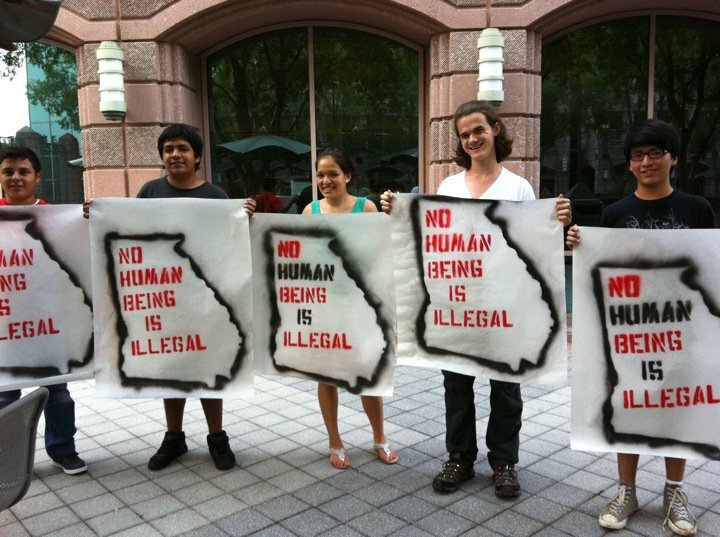 According to Lori Khamala, who directs AFSC’s immigrant rights program in North Carolina, they hope to equip thousands of people with training and tools to create sanctuary wherever they are. 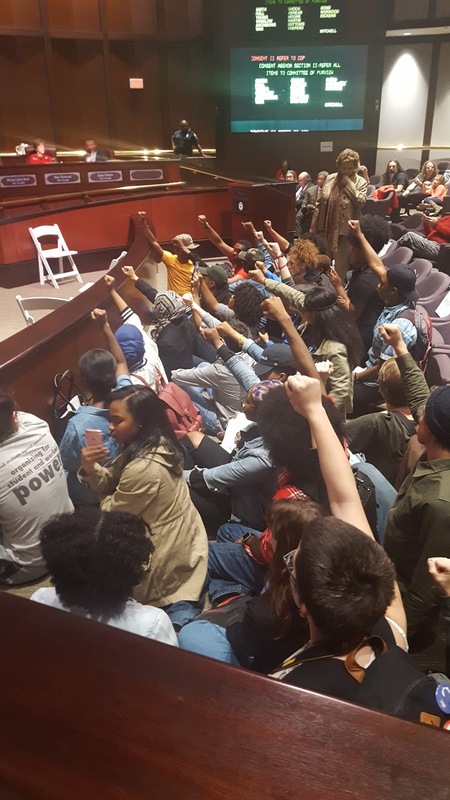 On Tuesday, Jan.17th, one day after Atlanta celebrated MLK day, Turner Field Community Benefits Coalition (TFCBC) residents and students packed City Hall to speak out against Turner Field stadium purchasers. On Dec.31st, 2016, Georgia State University and its development partners closed a purchase deal to acquire Turner Field stadium and its surrounding lots. This deal, however, did not include the detailed Community Benefits Agreement TFCBC has researched and arranged over the past two years. GSU and Carter Development have taken a stance of non-negotiation, and no-CBA, despite active outreach by Turner Field residents to the contrary. 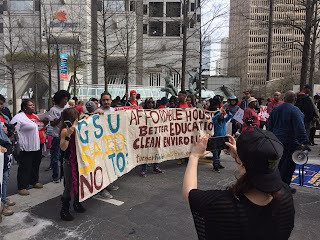 The refusal to include a Community Benefits Agreement in the purchase deal, first through the sale by the City, and later in the purchase by GSU, has created a climate of non-negotiation. 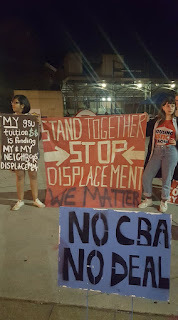 Without a CBA, there is no guarantee that development in and around Turner Field will not displace families, nor economically benefit residents who remain. The welfare of the Turner Field Neighborhoods, and especially its most low-income residents, has been dramatically de-prioritized by the City of Atlanta, and their future neighbor, Georgia State University. In response to these actions of disregard, on Tuesday, residents and students spoke out. Protest began when Mayor Kasim Reed took the podium at City Hall. Dozens turned their backs in silence to Reed, who has overseen the stadium’s sale and its subsequent (mis)allocation of purchase funds. 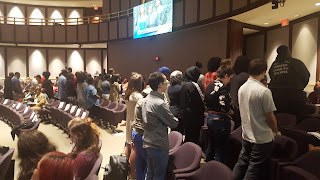 They remained standing throughout Reed’s speech, physically filling most of the audience space. 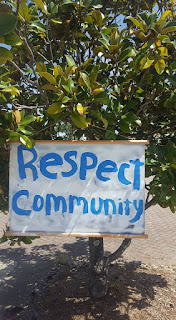 Reed exited the council, but not TFCBC’s protest. 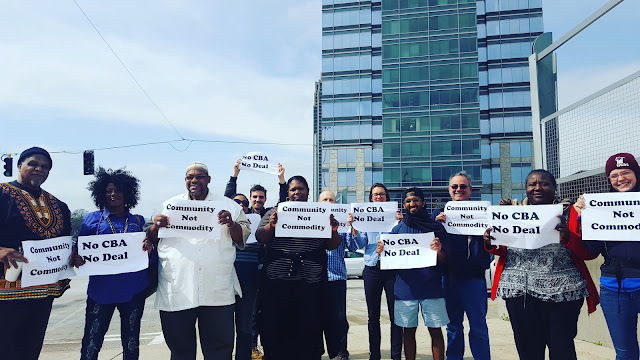 “Without the CBA in the sale of Turner Field, the community was not promised safety, not promised job security, not promised the right to stay in their homes. It is violent that the City of Atlanta would undertake such a sale, in complete disregard of residents’ welfare,” noted Agnes Scott activist Idil Hussein. 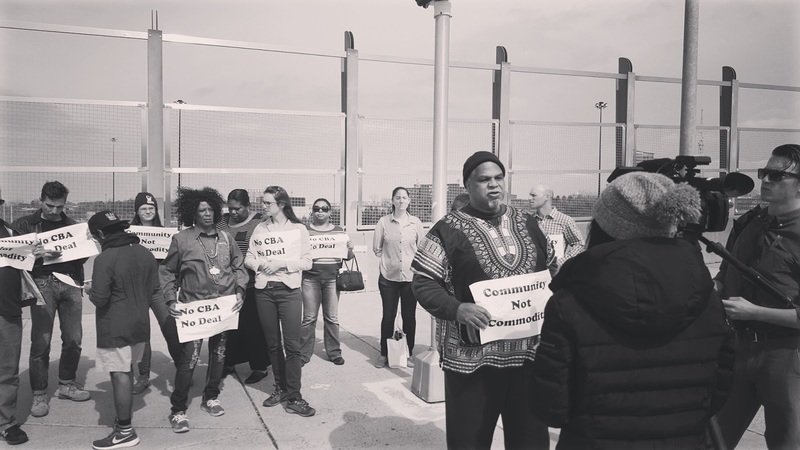 Public officials and development stakeholders have often argued that any Community Benefits Agreement negotiation is cost-prohibitive. But, they fail to acknowledge that the investments and priorities addressed by the CBA could be funded entirely from the sale proceeds of Turner Field. “The sale has thus far generated at least $30 million in revenue, but has been invested into another corporate-sponsored stadium rather than the Turner Field Neighborhood communities. Eminent domain law has been used as a tool of urban gentrification, allowing the City to land-grab from the Turner Field neighborhoods,” noted Housing Justice coordinator Tim Franzen and PRC president Columbus Ward. Short of revising the eminent domain ruling and regaining land, TFCBC members seek to orient the development process in ways that would benefit the community. Repaved streets, better insulated schools, and more fresh produce-carrying grocery stores would all be small examples of such a process, and indeed, are the objectives of a CBA. After the speakout ended, students took to the chamber floors for a sit-in. They broadcast a Reverend Dr. Martin Luther King speech as councilmembers conducted their affairs, twirled car keys, drew silent attention to Councilwoman Carla Smith, and altogether unsettled business as usual. 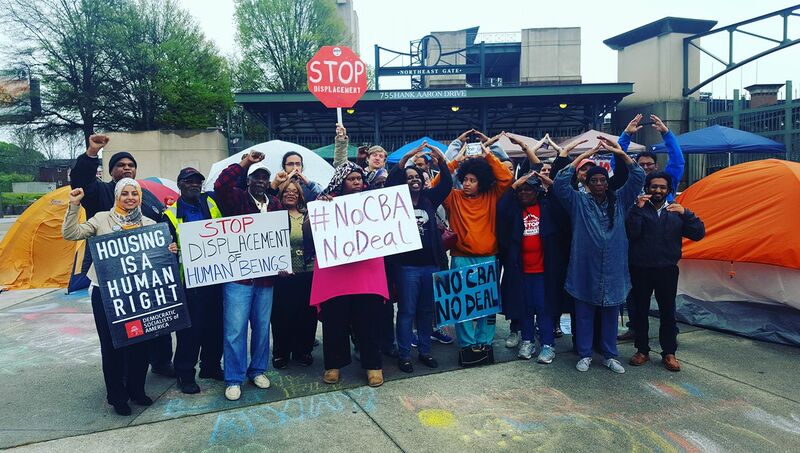 This creative resistance will amplify if and as the Turner Field purchase deal moves forward without a Community Benefits Agreement. 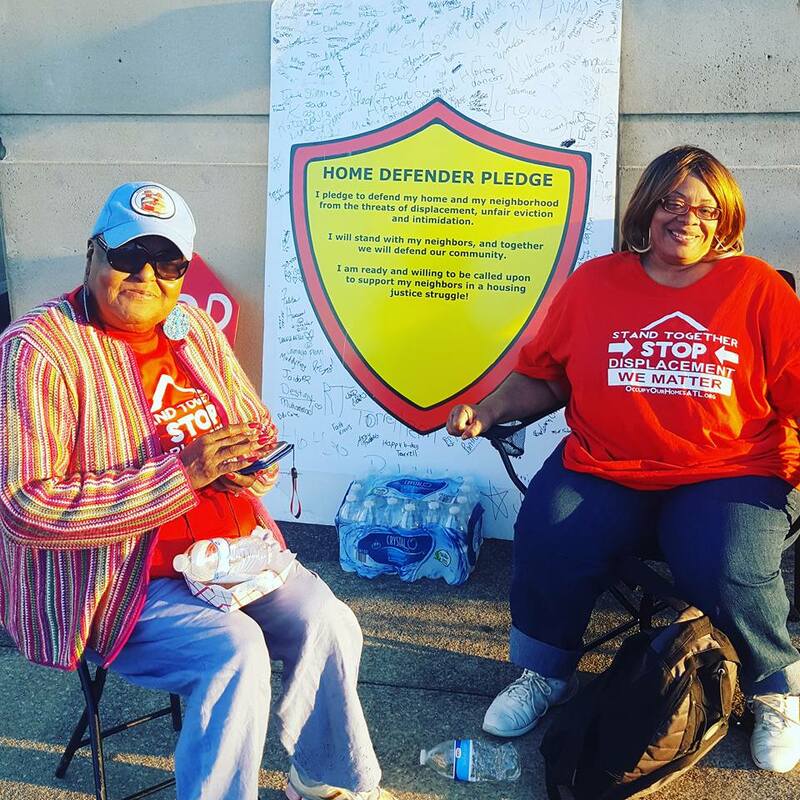 TFCBC activists are redoubling their commitment to stop inequitable development in their community. Sign and share the online petition!